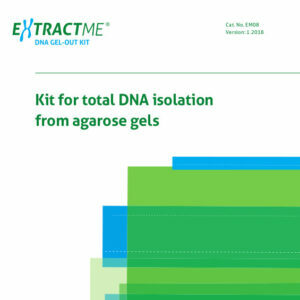 DNA purification procedure utilizes spin minicolumns with membranes which efficiently and selectively bind nucleic acids. First, CB Buffer is added to DNA sample. It causes proteins to degrade and enables DNA to bind with the column’s membrane. 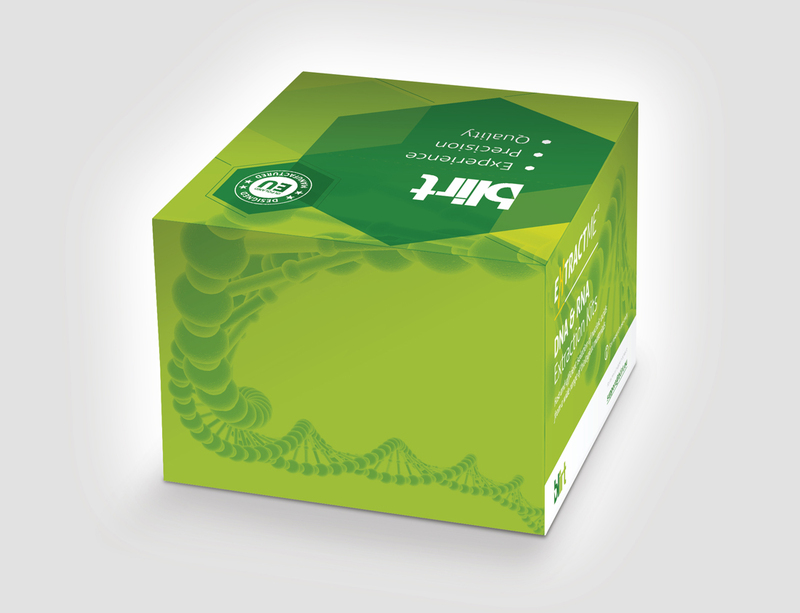 The binding buffer contains a color indicator, that facilitates an easy monitoring of the solution’s pH for optimal DNA binding. The two-step washing stage efficiently removes impurities and enzyme inhibitors. 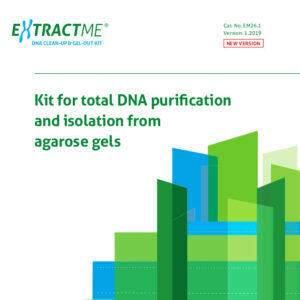 Purified DNA is eluted using either a low ionic strength buffer (Elution Buffer) or water (pH 7.0-9.0) and may be used directly in all downstream applications such as PCR, qPCR, DNA sequencing, enzymatic restriction, DNA ligation, etc. or stored until ready to use. Heat Elution Buffer up to 70°C, apply onto the column and incubate at room temperature for 5 min. Carry out 2 or 3 elution steps with 15-30 μl Elution Buffer. 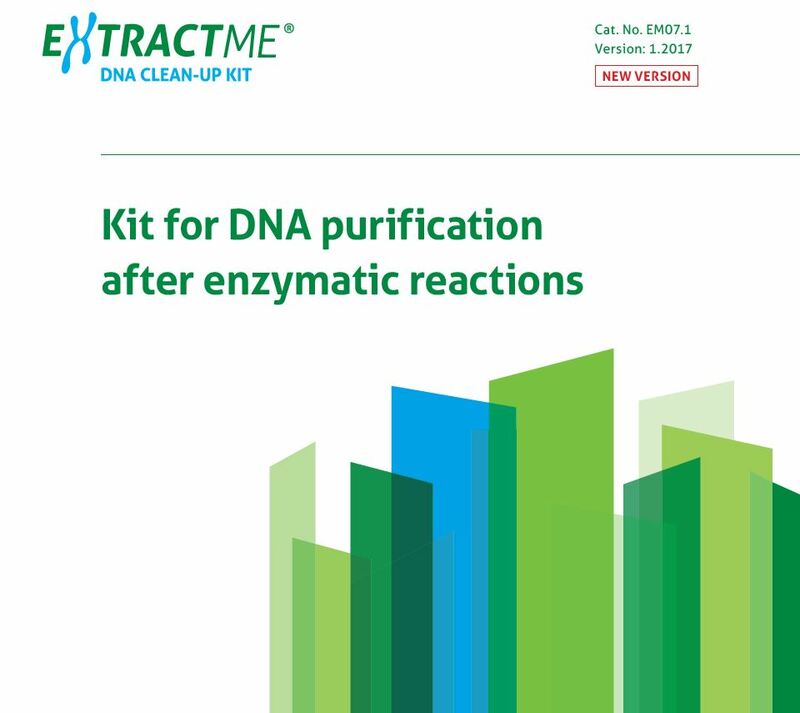 To assure complete DNA recovery from the membrane, use 200 μl Elution Buffer. CB Buffer contains an indicator, which enables pH monitoring. Yellow indicates that the solution’s pH is lower than 7.0 and guarantees an optimal DNA binding with the membrane. When the pH is higher than 7.0, solution turns pink. 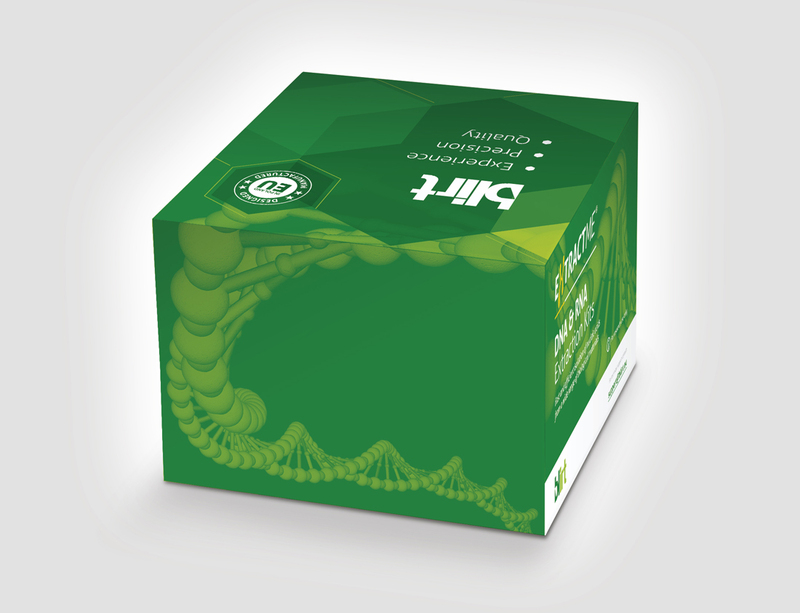 It usually happens when the pH of DNA sample considerably differs from the standard parameters of DNA treatment operations (pH>9.0). In this case, it is essential to add 10 μl of 3 M sodium acetate (pH 5.2). It will lower the pH, enabling the solution to bind efficiently with the minicolumn membrane. 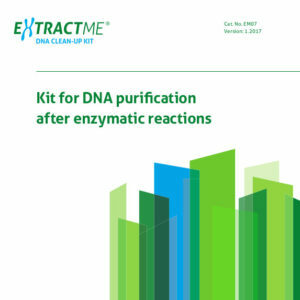 The quality of each production batch (LOT) of the EXTRACTME DNA CLEAN-UP KIT is tested with the use of standard QC procedures. 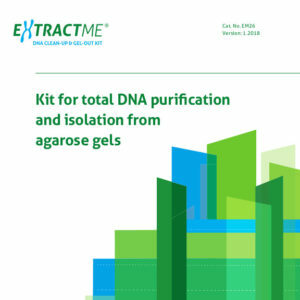 Purified DNA concentration and quality are evaluated by gel electrophoresis and spectrophotometer.